The weather was still cold but I managed to get outside since there was sun for a change. Nice capture Viz. Especially #1! 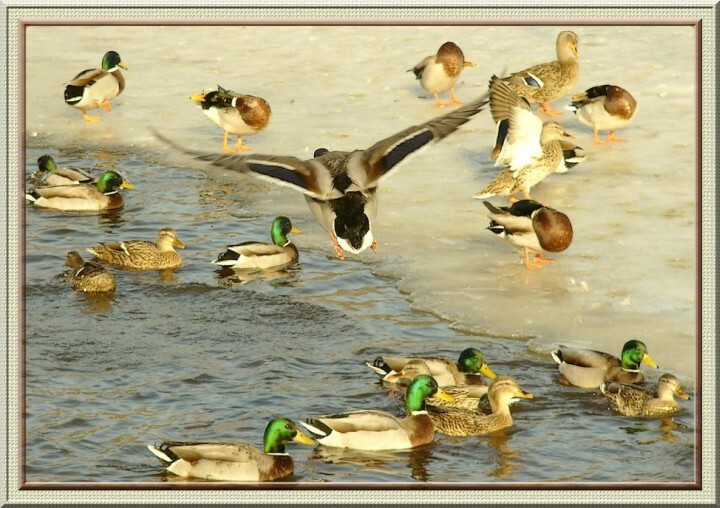 Wow, I was just looking at some mallards over at Image Resource in the Nikon 8800 forum. Coincidence? I think not. #1 is a neat setting and dynamic too. But I love the green sheen of the heads against that pure stark white in #2. #1. is a nice capture indeed. But whitebalance seems way off. or did the yellow tone come from PP ? Why do you use different frames? I like it when someone uses the same frame.. always. 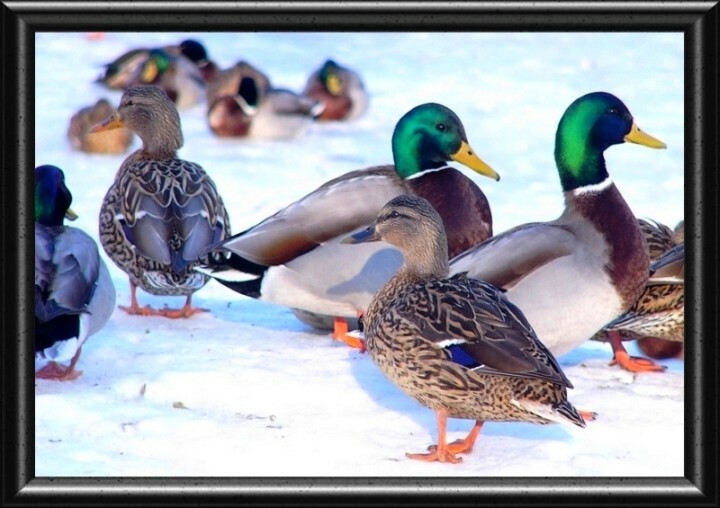 This way it personalizes the photos..
like in -> "hey thats a vIZnquestphoto... "
where you out on the ice to take these or from shore? nice capture on the first one of the duck in flight. Nice shots - where or how do you do frames like that? Thanks for the kudos on my shots. I made the first frame using a program PhotoFiltre. I believeTim has a point in that I should try to stick with one signature frame. I did put a bit of yellow in gamma correction with the first photo since I did not like the "white out" look. It also made the ducks look better to me. All times are GMT -5. The time now is 8:03 AM.